A HIPAA-compliant texting app is an application that physicians, nurses and hospital employees use to exchange patient protected health information (PHI) who are being treated by the facility or clinic. A HIPAA-compliant texting app must be employed when healthcare employees send messages that contain identifying patient information. Failure to use a HIPAA compliant texting app when sending messages to colleagues that contain PHI can constitute a HIPAA fine. Indeed, HIPAA officials have cited health facilities for exchanging protected patient information that was neither encrypted nor password protected. If and when a HIPAA fine is instituted, the fine can reach several million dollars. The mandate to protect patient privacy was set into effect by Congress with the 1996 Health Insurance Portability and Accountability Act (HIPAA) that decreed the importance of maintaining patient privacy and ensured its protection. Since 2013, HIPAA compliant messaging has gained even more importance as the 2013 legislation increased privacy and security protection for individuals’ personal health. The legislation also increased the penalty for breaches and penalties for noncompliance based on the level of negligence, with a maximum penalty of $1.5 million per violation. Since that time, hospitals have also increasingly realized that exchange of PHI via pagers risks a HIPAA violation and could incur a significant fine. By exchanging PHI via pagers and not through a HIPAA-compliant texting app, the patient information can be accessed by unauthorized third parties and be used to defraud patients and their healthcare providers. Today, healthcare institutions are moving towards a HIPAA-compliant texting app that provides secure messaging and upholds the mandates of HIPAA. How do you maintain HIPAA-compliant texting? Use of a HIPAA-compliant texting app is required when the physician or nurse sends a text or message containing patient information, care instructions or other relevant patient information. When this type of patient information is sent, the content of the message must be both secure and encrypted. Protect against any reasonably anticipated uses or disclosures of this information. 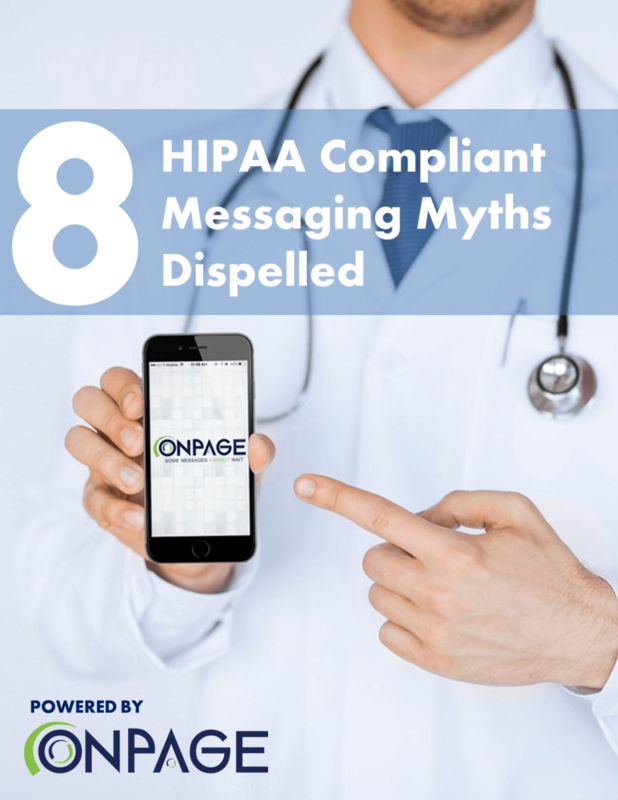 The OnPage HIPAA-compliant texting app enables healthcare providers to easily communicate via encrypted and secure text communication with their employees as well as each other. 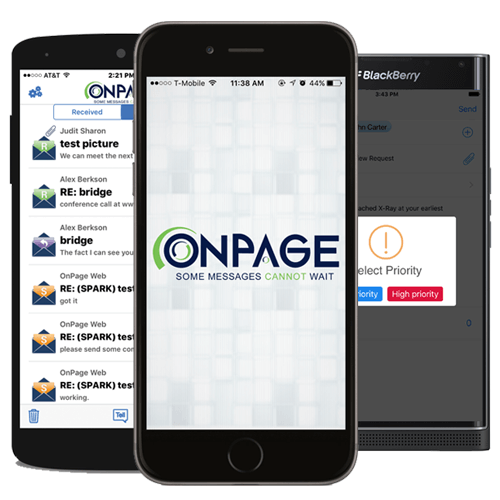 OnPage, intelligent alerts cut through the noise by bringing critical alerts to the forefront and continuing for up to 8 hours until acknowledged. Audit Trails allow you to track messages with SENT, DELIVERED and READ receipts. 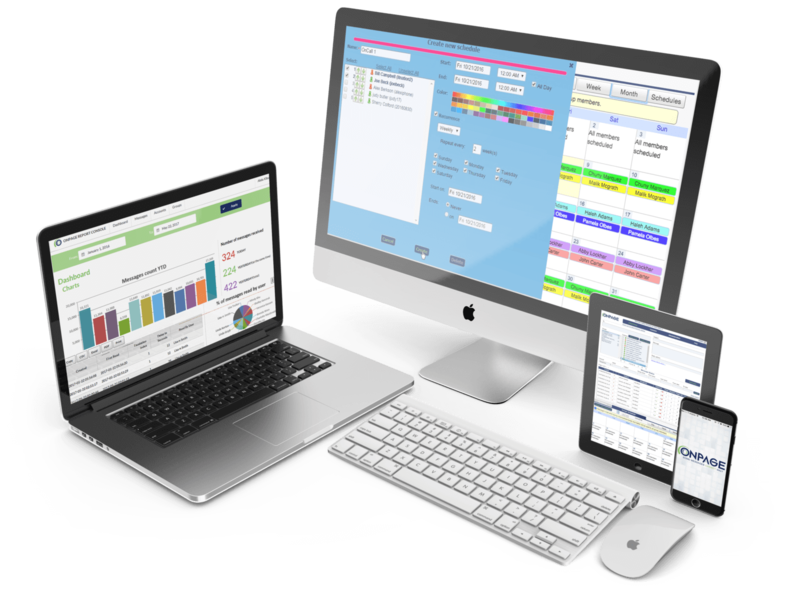 Every group gets their preferred, on-call rotation with on-call scheduling for multiple individuals without limitation to location. Add images and voice attachments to your text messages to convey more information, allowing for more informed decisions. Mute OnPage when you are off duty and do not want to receive alerts. When healthcare personnel embrace HIPAA-compliant texting, their offices will see benefits such as improved security of patient information, better patient outcomes and stronger communications. What is required for HIPAA-compliant texting? Any questions? Reach our knowledgeable sales team at (781) 916-0040. 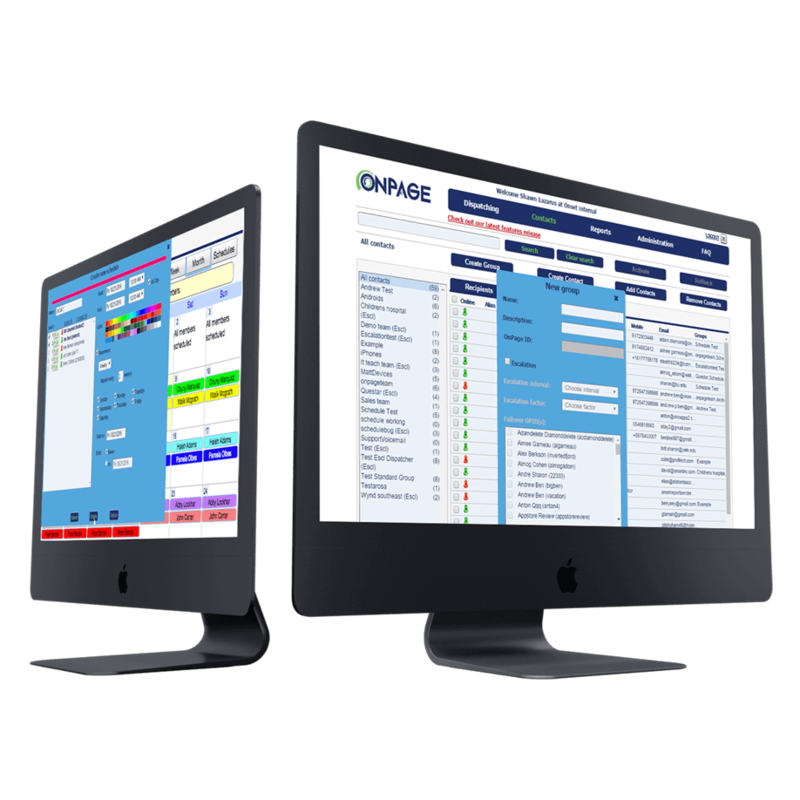 I searched for an iPhone platform paging system for quite some time before I found OnPage. It helped us detach from our pagers & we’ve quickly learned to trust it for on-call shifts. It meets our needs nicely & is very user-friendly. It’s comforting to have a HIPAA compliant paging system to quickly send out notices & being reached quickly by the Hospital is exactly what we needed. I started using On Page about 6 months ago, and I love it. The messages are much easier to read, and return phone calls can be done with a simple touch of the phone number on the phone screen. The answering service is alerted when you read the page,eliminating lost pages. Old pagers were subject to some unreliability, and second calls were frequent. We carry only the iphone or smartphone, not a pager plus a phone. Documentation can be done at the time of the call, or later with the information on the phone. On call volume is readily available for assessment, if needed. The OnPage system has exceeded my expectations. I hope I never have to use a pager again.